Your customers are pulling back the sheets. Contact us today to schedule your Condition Assessment and see how you can become Clean Sleep Certified. Perhaps you’re thinking about replacing your mattresses. Are you looking for a fast, no-nonsense way to assess the state of your facility’s mattresses? Clean Sleep can help you by providing a 1-hour Condition Assessment. 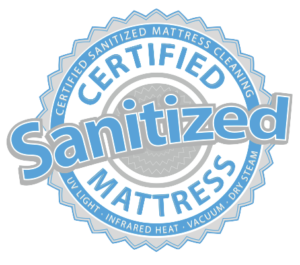 We inspect and sample your mattresses, then create a detailed yet concise report that highlights any problem areas in your facility. Customers often judge the quality of their experience by the quality of the physical environment and tangible amenities. The “Clean Sleep Certified” program provides a marketing advantage to your organization and ensures that when your customers pull back the sheets, they won’t have any unwanted surprises. How will customers evaluate your mattresses? The “Clean Sleep Certified” program provides a valuable way to differentiate your property by incorporating a non-core, genuine ancillary service. The benefits are improved guest comfort, confidence in the quality of services you are providing, as well as increased sales and positive press. This helps everyone sleep better at night! Cost Savings – Maintaining your mattresses prolongs their lifespans and keeps you from having to invest in all new mattresses on a frequent basis. Contact us to discuss the specific return on investment (ROI) model for your facility. Customer Retention Strategy – Customers pay attention to negative cleanliness reviews. Cleanliness and service are paramount to the successful operation of all businesses, even more so in industries where customers trust you enough to sleep under your roof. Clean Sleep is an obvious retention strategy for current and future customers who seek accommodations at or above their standards. Quality – Businesses that participate in the Clean Sleep Certified program communicate to their customers the importance of quality in everything they do. Brand Value – Being Clean Sleep Certified adds brand recognition, loyalty, and value to your business by providing a tangible differentiation through education and the opportunity for in-room marketing materials. Innovation – Clean Sleep technology is a state-of-the-art, revolutionary technology. It offers a unique, more affordable alternative to having to replace your mattresses. It’s safe, better for the environment, and extremely effective. 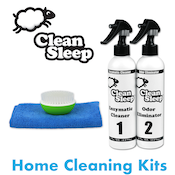 Clean Sleep offers businesses a friendly, unobtrusive and efficient experience. We work hard to ensure as little disruption to your daily operations as possible. High-volume mattress sanitation needs – we work with a variety of both large and small facilities and ensure our process is as seamless as possible. Coordination on multiple levels – we work tirelessly to minimize disruption to your business. We can service over 30 mattresses in a single 8-hour day. Whether you prefer to have a large volume of mattresses cleaned in as short a time as possible, or prefer to rotate through your facility over a longer period, we can accommodate your request. Whatever the size or scope of the project, contact us to see how we can help your facility become Clean Sleep Certified. Rest assured, your customers will start enjoying a better and healthier sleep right away.